[Photo:CNN] Cristiano Ronaldo celebrates after opening the scoring against Ajax. 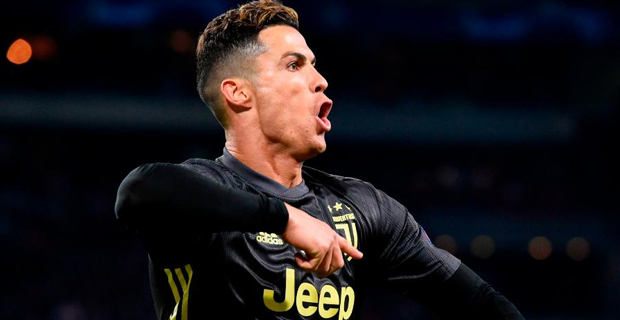 Cristiano Ronaldo scored his 125th Champions League goal this morning as Juventus and Ajax drew their first leg quarter-final match 1-all. Ronaldo has won the Champions League five times. He has won the title four times with Real Madrid while he won it once with Manchester United. Meanwhile, in another match, Barcelona beat Manchester United 1-0.